This is a table that just had to be made! After the success of our last table with built in cooler, we couldn’t resist designing our latest version St Mawes Bar Table with Drinks Cooler. 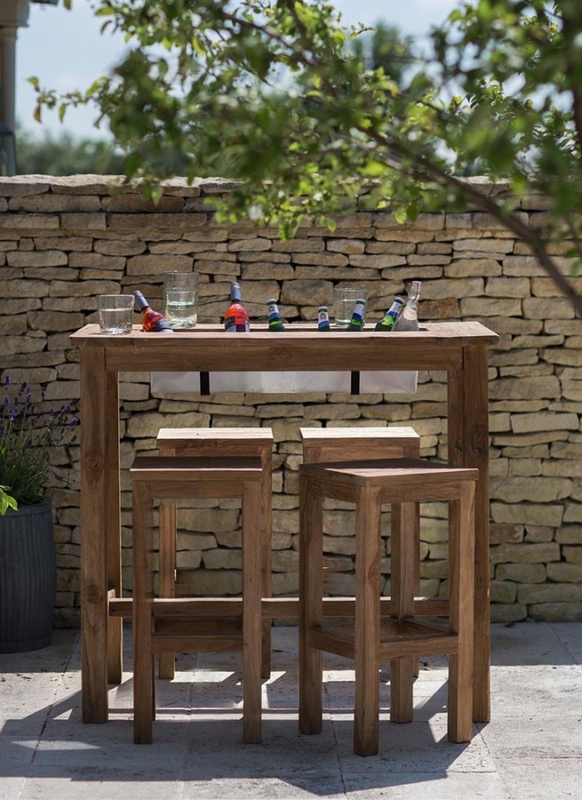 An excellent option for anyone with plenty of outdoor entertaining space or for drinks by the pool, our St Mawes outdoor bar table is fashioned from reclaimed teak and is ideal for those who love to entertain plenty of guests in their gardens. Our St Mawes Bar Stool is the perfect matching item.